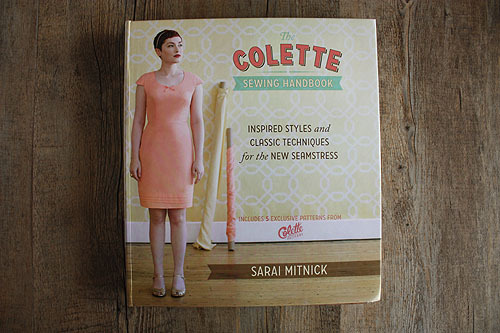 I got a copy of The Colette Sewing Handbook by Sarai Mitnick and I think I swooned a little. I’ve been a fan of Colette Patterns and her tutorials for a long time. 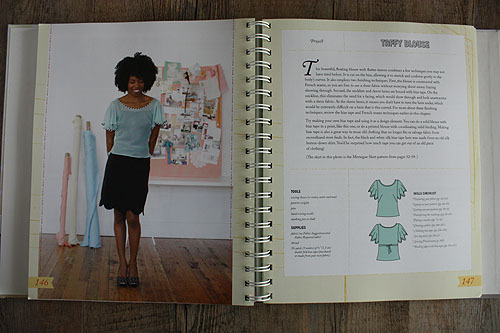 The book contains five principles (a thoughtful plan, a precise pattern, a fantastic fit, a beautiful fabric, and a fine finish) and five patterns (a scalloped-hem skirt, flutter-sleeve blouse, sweetheart neck sheath dress, asymmetrical flounce dress, and a lined dress with gathered sleeves). 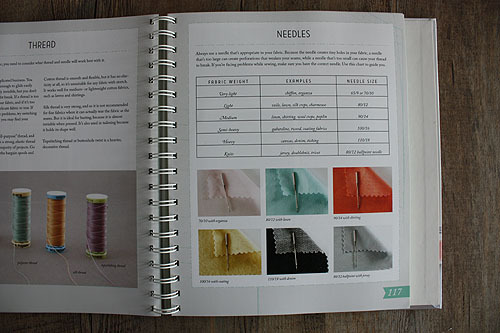 Each section of the book takes you through creating each garment, teaching you techniques as you work. 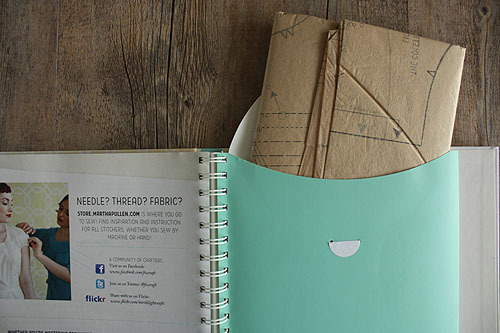 The book has my favorite spiral binding so it will stay open while you work, as well as a set of patterns in the back. The book takes you through the basics, showing tools and techniques very clearly explaining the benefits and uses for each kind. 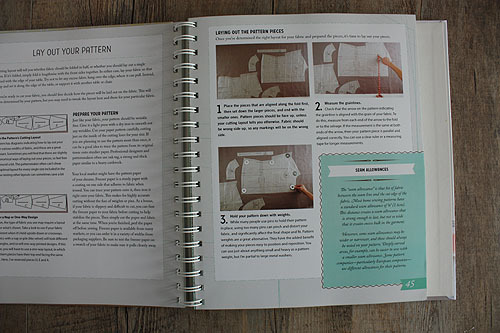 Each section of the book uses one of the patterns in the back and acts as a complete lesson in sewing a garment from start to finish. This is how I learn, I need a real project to work all the way through, so I adored how this book was arranged. You build your knowledge with each project. She gives very basic and practical tips so you don’t have to struggle. Every step is clearly displayed and explained. And of course all the items in the book are things you definitely want to wear. Easy enough to take on, with just enough clean detail to be super cool. Just look at this top, gorgeous. 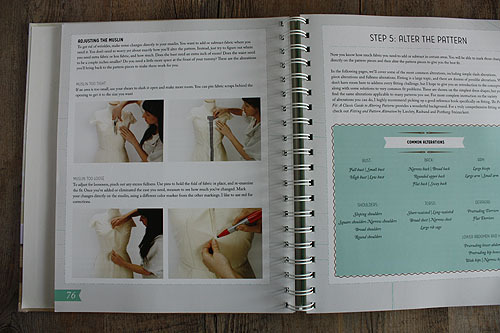 If you want to learn to sew your own clothes and need a set of lessons to start you off this book is perfect. The Wirecutter | A List of the Best Gadgets. I love recommendations for things I need but don’t have time to obsessively research. This site is all about that. A Whole Lotta Nothing: SendTab: a great simple app for managing screens. Google Kills Its Other Plus, and How to Bring It Back – Waxy.org. Arcade Improv: Humans Pretending to Be Videogames – Waxy.org. Last weekend I had the very distinct pleasure of attending Camp Mighty. Maggie Mason (Mighty Girl) and Laura Mayes (The Queso) are seriously awesome. I spent the weekend meeting new friends, chatting with old friends, discovering refreshing things and spending a lot of time in a bathing suit. I even danced. And got a massage. It was entirely unlike me. There were boozy slushy things that changed every day. The camp was set up so that we had plenty of time to find each other and chat and I was delighted that most everybody could be found hanging out by the pool. Even when it was raining cold, cold rain the place to be was in the steaming hot tub. It reminded me of the summer in college that I spent in a small town in Italy, there were no phones so if you needed to find people you just went to the piazza and either found them or somebody who knew what they were up to. 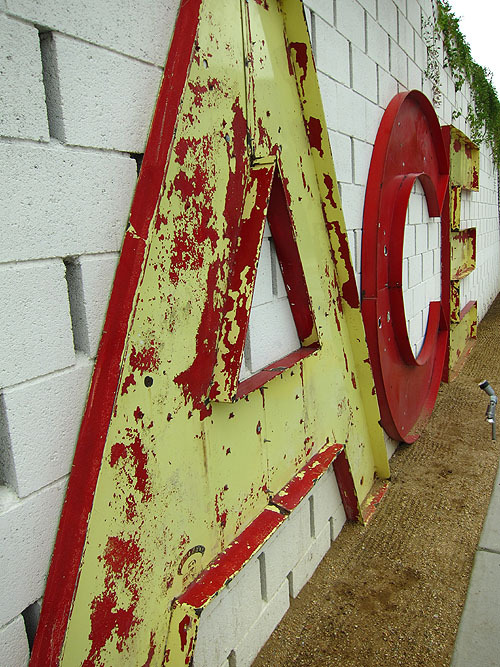 Our weekend at the Ace was like that, but with a hot tub. Early in the days we attended talks that made me feel like humanity was going to be OK after all. 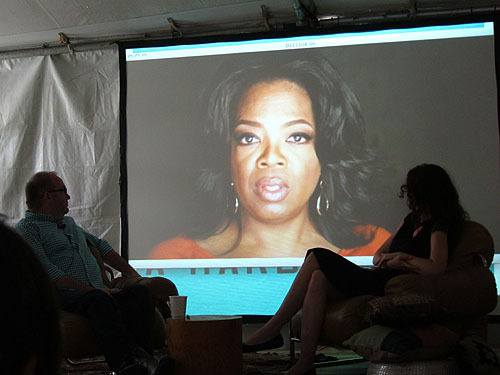 Brian Piotrowicz who had an amazing resume and came to tell us about working on Oprah’s show and how intention drives what she and all of the people who work for the company do. I wonder what I could do if I manage to keep that in mind. I wonder what we all could do if we kept that in mind. Evany Thomas gave a funny and engaging talk about what happens when you face things that you’re a little afraid of and embrace things that might have gone wrong and let yourself turn in a different direction when you need to. I kept this in mind when I very narrowly missed a connecting flight. It took a few hours hanging out in the airport but I learned that if you stop pouting and get to know your fellow standby passengers you might just witness game show like applause as your names get called to get on board at the last second. Kenna told us the touching details about how Summit on the Summit got started and invited Maggie to climb Mount Kilimanjaro while onstage. Stay tuned, lovelies, it’s going to be fun. Lisa Congdon talked about how she transitioned from leading a non-profit to becoming a very prolific and talented artist in the last few years. Guess what? It involves a lot of hard work and a lot of pressing forward through fear and results in a lot of reward. 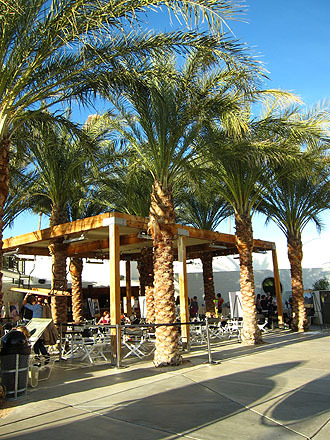 Palm trees, mountains, shade, an outdoor bar and nearby pool. There was nothing missing. The afternoons were filled with a refreshingly non-imperative collection of skill building events that included learning to saber open a bottle of champagne, throw a punch, make champagne punch, make a mix tape, meditate, make a balloon animal, have personal swim instruction, or learn to use one of those heavy duty fire extinguishers. Sadly a freak rainy day (apparently it broke a 13 year old record) meant that the champagne sabering was canceled but we still got to make punch (and later raid the champagne reserves). 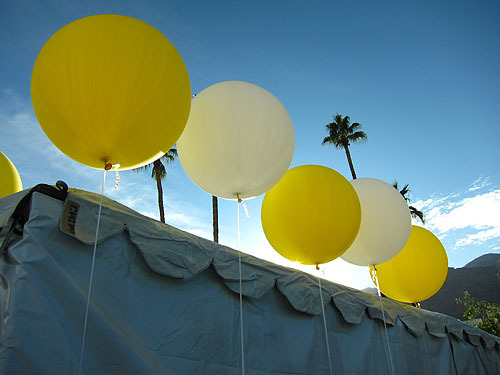 The non-imperativeness of everything made me motivated to attend everything I could. Oh Camp Mighty, how well you know me. You can’t tell by this photo but The Tontons all have great hair going on. The evenings were filled with cocktail events. 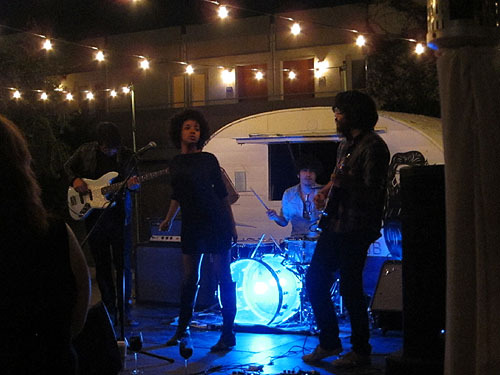 Night one had us sampling wine and listening to The Tontons which Laura Mayes insisted were the band that would be discovered at SXSW next year and we would all get to say that we heard them way back. She wasn’t wrong, they are amazing. Night two included a space themed costume party. 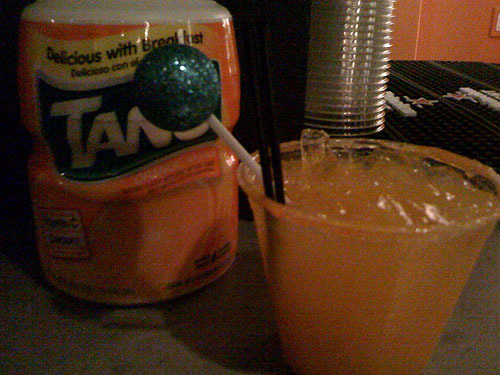 Tang cocktails, freeze dried ice cream and a rocket created by the Ace Hotel were included. The DJ was dressed as Spock. There was a dance off. It was huge fun. My room at the Ace had a lot of the usual things you could buy, like robes and booze. But it also had this walking stick. And some 3D glasses that were cheap. Neat. And of course a huge part of the camp weekend was focusing on our Life Lists, 100 things we want to do in our lifetime. I’m a little wary of the woo woo factor of things like this but it somehow manages to be all around good stuff that all my trepidation was easy to shed. We shared the five things we want to focus on this upcoming year with our groups (about 25 people each) and a lot of emotion ran through the room. I kinda wanted to go around the room again. Part of sharing our things was including one thing we wanted to get help with and I swear every person in our group had an answer or a connection to get started on before we were done. It was pretty darn inspiring. And it reminded me that I need to get over my shyness and just talk to people no matter where I am. Once you get past that awkward phase there is often so much you have in common. 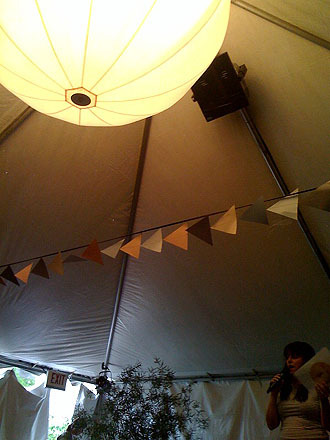 The tent where the talks were held had this enormous light which I wanted to bring home with me. Know what? Camp Mighty was raising money for Charity Water and with the help of all of you (you!) that helped us (thank you!) we surpassed our goal of $20K before the camp started and made so much more while we were there that Laura managed to figure out that we helped 1,111 people on 11/11/11 before 11:11 a.m. Which is super awesome. Yay for focusing on helping others. I learned a lesson there. 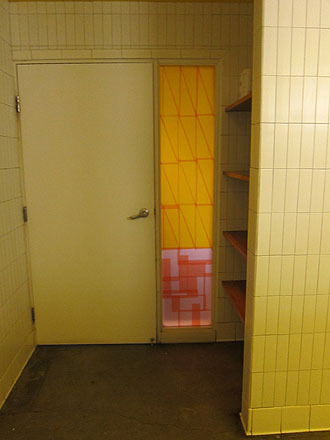 The windows of the ladies locker room at the hotel included this application of window film? 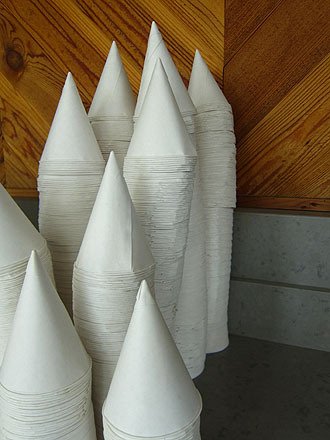 contact paper? that made it private and cool looking at the same time. I have a thing about window film so I snapped a picture hoping that nobody would walk in right at that moment. Which, standing in a locker room, might have been awkward. Huge shout out to the Ace Hotel in Palm Springs and all the sponsors of Camp Mighty for creating an awesome weekend. Wow. BBC News – Rare baby hazel dormice rescued from jaws of cat. They live in a pumpkin. That is impossibly cute. Josh Millard . 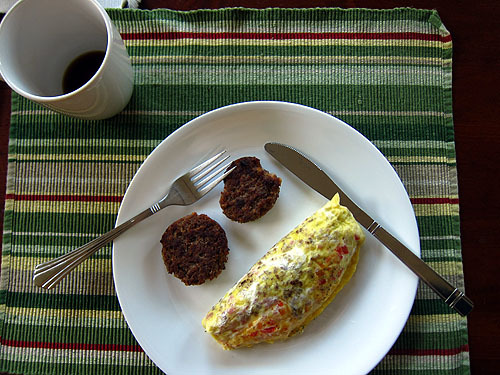 com » Overthanking a plate of injokes. 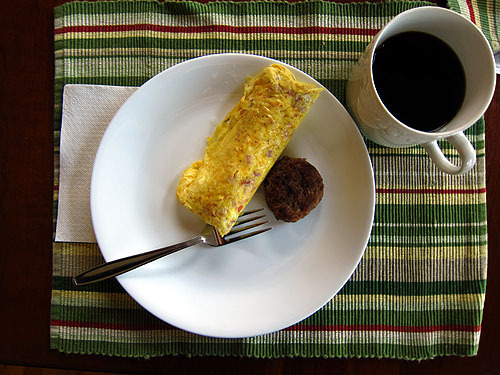 I play Glitch and I’m the proud owner of one of these plates of beans. It’s neato. Supercut: Anatomy of a Meme – Waxy.org. This reminded me that I once upon a time used my very fancy double cassette tape player to make a recording of every time New Kids on the Block sang “girl” in an album. 134, if I remember correctly. 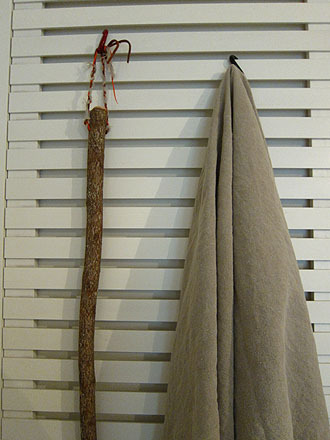 Twig & Thistle » Curtain Trick!. She used a mighty magnet as a curtain stopper, smart! string art – wise craft. I’ve been lucky enough to see this in person and it’s stunning! Plantgasm – Ideal Office Plants 2: Spathiphyllum ‘Domino’. I need me a Peace Lily. Pendant Light Cord :: NUD. Hey, nice cords. Yay! 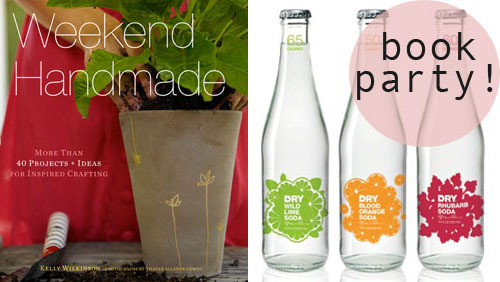 The book tour for Kelly Wilkinson’s book Weekend Handmade is coming to Seattle on Thursday, November 17th. The party will be at Dry Soda and it’s free. I’ll be there, you should come too! Rue Montorgueil, at Oh Happy Day. the Ugly Green Chair: Grand Central Station of the past A photo from before buildings were built that shaded it and prevented the sun from shining in the huge windows like this. Wow. Also, while I was in New York (way back) Grand Central Station was being cleaned and was largely closed off so I must remember to revisit it to see it in all it’s glory. Lifelist: Go Scuba diving? Check. | Mighty Girl. This inspires me to learn scuba diving, and it’s a good recommendation for a resort. I have things up at three different places, thanks to everybody who asked me to contribute! 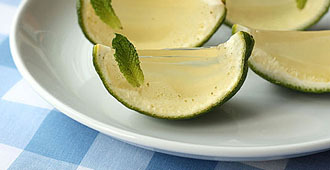 First I offered a few recipes for jelly shots (for adults!) made in citrus wedges. It’s part of this fabulous Pretty Party Projects round up by Sarah Bryden-Brown, Blogstar, and it’s shown off over at Kirtsy. 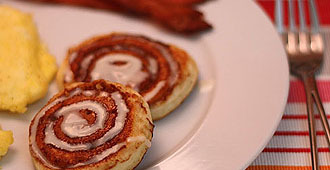 Second I have a recipe for mini cinnamon roll pancakes at Simply Modern Mom. I love the crunchy cinnamon sugar effect that cinnamon roll pancakes produces but love it too much (falling asleep just after breakfast is not so good), so smaller portions were called for. 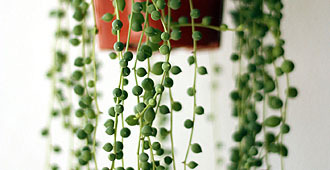 Third I showed a peek at some of our indoor and outdoor plants over at Garden Design. Go see how dramatically our rubber plant, named Robert, has grown. Can a Dinner Party Be Stress-Free? – NYTimes.com. A dinner party matrix to make planning easy. 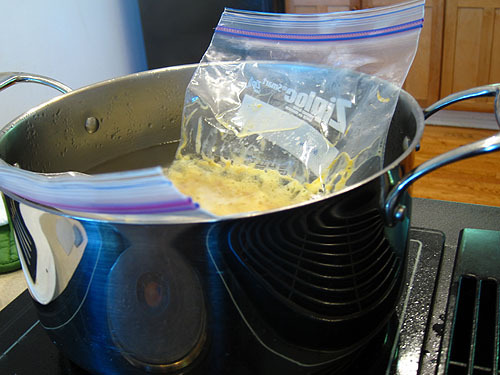 You still have to cook it. Tricked-Out Caramel Apples – CHOW. apple pie cookies | smitten kitchen. Cool. 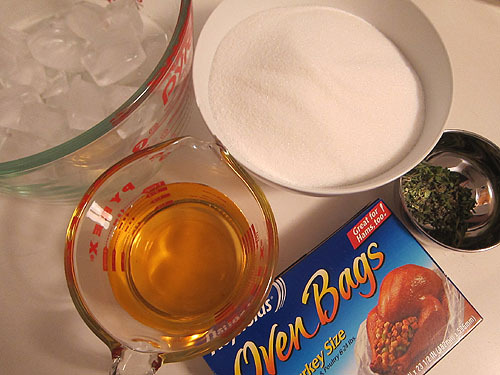 How to Fold Dumplings – CHOW. 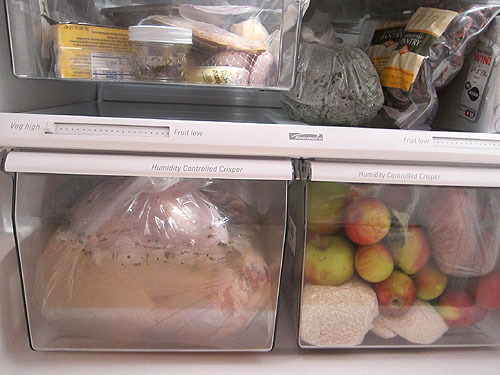 Caramel Pears, Design Mom. So pretty! Making the Grade: Why the Cheapest Maple Syrup Tastes Best – The Atlantic. Trader Joe’s sells a nice B grade. Via Girlhacker. update: Well that was fast. I’m all sold out of Dahlia pins for the moment. Thanks so much to everybody who is helping me raise money! In less than two weeks I’m headed to Camp Mighty and part of what we’re doing is raising money for Charity:Water. 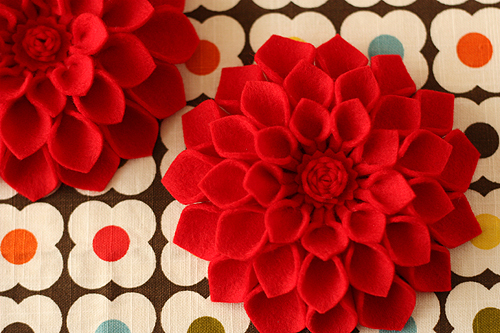 I’ve decided to stick with something I know and sell a few of the Dahlia pins which I wrote a tutorial for a few years ago. These were originally created to be a Mother’s Day gift but I think they’d work equally well as a Christmas gift or perhaps as a hostess gift for Thanksgiving. Want one? I do hope so! 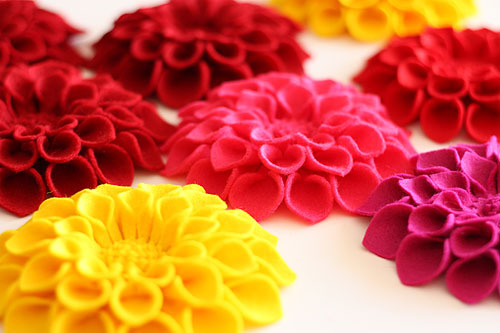 Please visit my Etsy shop called clove+clover for Dahlia Pins in many colors. I have red, dark red, plum, pink, bright pink, yellow, lavender, light gray and dark gray. These are made from my favorite all-wool felt which is lovely, thick and does not have any of the shine that most craft felts display. I have a limited supply of felt, but I’ll be re-listing colors that I still have in stock. 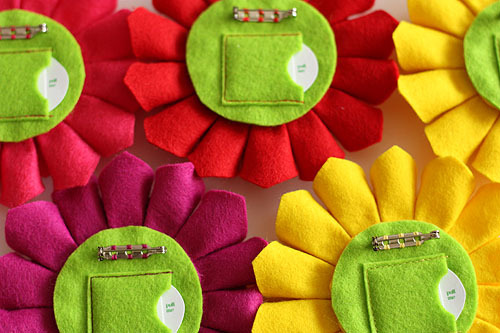 Each pin will also have the secret pocket in the back where you can store a small photograph or message. I’ll be adding more specific photographs to the Etsy listings as they are created. Go visit clove+clover if you’d like one, and thanks. Lisa Congdon is selling gorgeous prints. Amy is selling virtual raffle tickets for a goody bag. Erica is bakign banana bread. Yum. Leslie is selling fine art prints for $25. I’ll update with more as our team continues to roll out awesome fundraising ideas. If you’d like to read more about Charity:Water and what we’re all up to please see the excellent post at Just a Titch. Thanks to you all!